Here at All Alone Garage we are car enthusiasts as well as skilled car mechanics who can provide the same level of service and high quality parts as the main dealers, but at a fraction of the cost. Servicing your car regularly helps to avoid any mechanical problems but sometimes, things still go wrong. 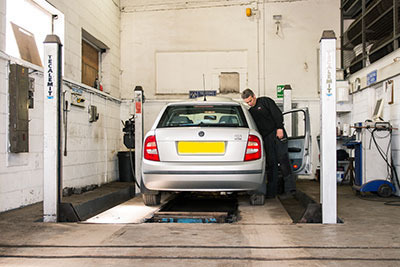 If you find yourself with a temperamental car, a car with starting issues or a car that simply isn’t running right and you’re looking for specialist car mechanic in Bradford why not give us a try. Or anything else your car might need. Main dealers need to inflate their prices to cover their massive overheads. We share similar skills but we don’t have anything like the same amount of overheads, so that means our prices are much, much lower than theirs – up to 60% lower.